Kennametal was created in 1938. America, metallurgists Philip M.M Kenna after years of painstaking research, invented a tungsten – titanium carbide alloy tool new material, can make the machining efficiency of cutting steel get breakthrough improvement. Based on this invention, Philip founded McKenna Metals Company in Latrobe, Pennsylvania, which was renamed Kennametal. Nowadays, Kennametal has developed into a large multinational corporation with world leading level in cutting tools, tool systems, new materials and technical services. Onsrud – American aviation cutter expert The company specializes in manufacturing aluminum, plastics and composites in the aerospace industry. Onsrud is a leading technology company specialized in manufacturing high performance carbide /PCD/CBN reamer, high precision groove milling cutter and integral carbide end milling cutter for aluminum alloy and plastics processing. MasterCut Tool is a company that manufactures hard alloy cutting tools. 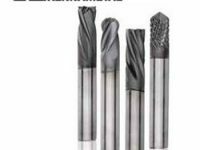 Its main products include: end mills for CNC machine tools, machining centers, various types of carbide rotary files, etc. Cutting king in the United States is known for its high precision, long life and high market share. MILLSTAR is a well-known American mold and tool manufacturer with decades of cutting tool manufacturing experience. Its products are mainly used in the mold manufacturing, aerospace, electric power and medical equipment industries. SGS has been immersed in the technology of solid carbide rotary cutting tools for many years, and its business covers aerospace, medical equipment, energy power and automobile industry. 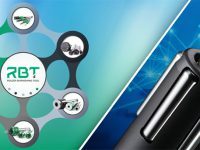 The company has established manufacturing bases in the United States and the United Kingdom, and its products are sold to more than 60 countries and regions. In April 2016, KYOCERASGS corporation signed the equity transfer agreement with SGS Tool Company, a manufacturer of integrated Tools in the United States. The equity of SGS Tool Company and its group Company will be transferred to kyocera, renamed as KYOCERASGS Precision Tools, Inc, and officially became a wholly-owned subsidiary of kyocera. How much do you know about hole machining? In machining, hole machining accounts for about 1/3 of the total machining. Hole machining is semi-enclosed cutting. Chip removal, heat transfer, cutting liquid cooling are all difficult, especially more difficult hole deep processing. 1) by shape: there are cylindrical holes, conical holes, drum holes, polygonal holes, spline holes and other special-shaped holes (such as curved holes), etc. Among them, cylindrical holes are most widely used. 2) by form: there are through-hole and blind hole (blocked hole); Deep hole (L/D = 5 ~ 20 is a general deep hole, L/D is a medium deep hole, L/D is a medium deep hole, and L/D﹥30 ~ 100 is called a special deep hole) and a shallow hole. 3) according to the size of aperture: there are big holes (D﹥100mm), ordinary holes (D = 10～100mm), small holes (D＝1～10mm) and micro holes (D ＜ 1mm). 4) according to the processing mechanism: mechanical processing, special processing, electromechanical compound machining, etc. Although there are many special machining methods, the traditional machining will still be the main method of hole machining because of the expensive equipment and low processing efficiency. 5) according to the machining accuracy: Rough machining holes (such as holes after boring and rough boring), semi-fine bore (such as reaming, coarse ream, semi-fine boring hole) and precise hole (such as fine hinge, fine pull, fine grinding, honing, grinding hole). Precision holes generally refer to tolerances above grade IT7 – IT6 and surface roughness is Ra﹤ 0.8～0.4m. Its geometrical shape precision (such as roundness, cylindrical degree, axis straightness, etc.) is generally specified in the range of 1/2 ~ 1/3 of its dimensional tolerance band. With the rapid development of aerospace, automobile, high-speed train, wind power, electronics, household appliances, energy, mold, hydraulic, machine tool and precision machinery and other equipment manufacturing industries and the upgrading of products, the application of precision holes is increasing day by day. Hole machining is a complex process, which must solve the problem of chip removal, cooling, lubrication and guidance. Hole machining has a wide range of applications. The quality of its processing will directly affect the use and life of the product. The cutting mechanism of hole machining is complex, the cutting tools are various, and the machining is difficult. In mechanical parts, the precision and surface roughness of the hole are required to be improved day by day. Precision hole machining is often the key to production. In order to improve the economic efficiency of hole processing, many factories use advanced cutting tools: polygonal rotary broaching tools, single blade boring reamer of cemented carbide, precision diamond burnishing tools or cubic boron nitride reamer, roller burnishing tools and other new processes. RBT is the one-stop solution provider for burnishing hole. Our burnishing tools covers roller burnishing tools, skiving burnishing tools, rotary broaching tools, deburring and chamfering tools, external roller burnishing machines, etc. Since the company was founded in 2007, we have served over 2,000 customers worldwide. Welcome new and old customers come to the consultation to discuss!